DRB-HICOM’s unit Hicomobil Sdn Bhd which distributes Chevrolet cars here in Malaysia has launched a new variant of the Chevrolet Optra. The new variant is the Chevrolet Optra Estate, a station wagon version of the Chevrolet Optra sedan and the Optra 5 hatchback. The Chevrolet Optra Estate will be offered with a 1.6 litre Daewoo E-TEC II DOHC engine (107bhp@5800rpm, 150Nm@4000rpm) mated to a 4-speed automatic transmission. No manual or 1.8 litre models yet. The Chevrolet Optra Estate will cost RM92,888 on the road without insurance, making it the only station wagon in Malaysia under the RM100,000 range. We used to have the Nissan AD Resort in the past. 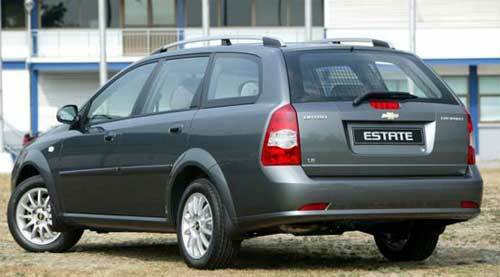 For more details on the Chevrolet Optra Estate, click here.